Meets new Aston Martin sports car on the first photos! The novelty will be on sale with the revived name DBS Superleggera. Photo spread the edition of Carscoops. 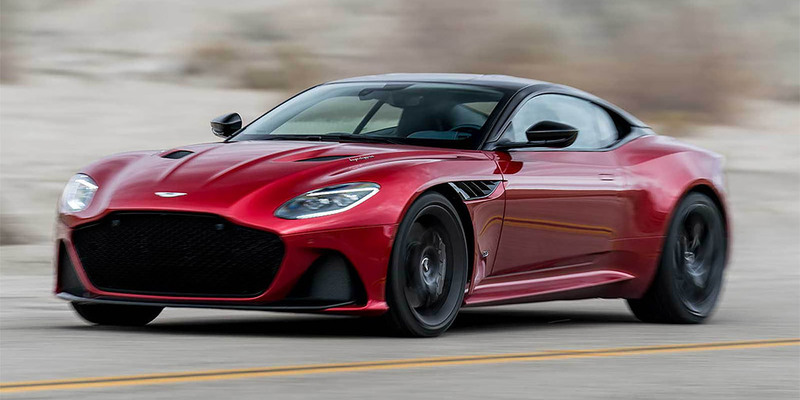 It is known that in the model line of the company DBS Superleggera is perceived as a replacement for Vanquish. Its design will remind DB11. Due to the active use of carbon fiber, the weight of the sports car will reach 1.7 tons. For DBS Superleggera a huge radiator, aggressive bumpers and a front splitter. Another car will acquire carbon-ceramic brakes. The lowered suspension with a sport exhaust system will also appear. The novelty will be equipped with a 5.2-liter V12 on gasoline with 2 turbines. The power of the engine will reach 715 "horses", and the first "hundred" will take only 3.4 seconds. The engine is combined with an 8-speed automatic transmission. TopSpeed â€‹â€‹writes that the sale of cars will begin at the end of 2018 at a minimum price of 300 thousand US dollars.